The Economic and Financial Crimes Commission is currently on the look out for Mrs. Moji Ladeji, the sister of Ekiti state governor Ayodele Fayose, over a N200million house located at 44 Osun crescent, Maitama Abuja. The building, which was bought by Fayose but has its documents written in the name of his sister, has been sealed off by the EFCC. Reports allege that Fayose bought the house with proceeds of corrupt practices and put his sisters’ name on the documents to cover his tracks. According to a source in the EFCC: “We have been able to establish that the house was bought from the proceeds of corrupt practices. The house was, however, bought in the name of Fayose’s sister. We need to question her to determine her level of involvement. Fayose had sued the EFCC for freezing his bank account following an allegation that he received N1.219bn from the Office of the National Security Adviser through a former Minister of State for Defence, Senator Musiliu Obanikoro, as well as kickbacks from state contractors. However, in a counter-affidavit, deposed to by Mr. Tosin Owobo on behalf of the EFCC, the agency said Fayose used the N1.219bn as well as alleged kickbacks received from the Ekiti State Government contractors to buy houses in Abuja and Lagos. The governor allegedly received kickbacks from about four Ekiti State Government contractors – Samchese Nigeria Limited, Tender Branch Concept Nigeria Limited, Hoff Concept Limited and Calibre Consulting Limited. However, instead of receiving cash, the governor allegedly instructed the companies to buy houses for him in Lagos and Abuja. The houses, located on Tiamiyu Savage Street, Victoria Island, Lagos, are said to be worth about N1.1bn. 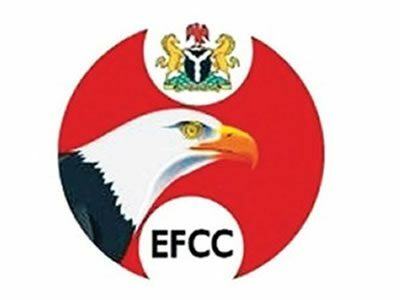 According to the EFCC, the houses were bought in the name of J. J. Technical, a company owned by Fayose and his wife, Feyisetan. According to the EFCC, the houses in Abuja were bought with different names. While the N200m house, located at 44 Osun Crescent, Abuja, was allegedly bought in the name of Fayose’s sister, another property, located on 32 Yedseram Street, Maitama, worth N270m, was bought in the name of a company. The affidavit reads in part, “The applicant (Fayose) also used the name of one Mrs. Moji Ladeji (the applicant’s sister) to acquire a property situated at 44 Osun Crescent, Maitama, Abuja, from the proceeds of the alleged offences of receiving gratification and kickbacks. Apart from fraudulently retaining the sum of N1,219,490,000.00, being part of the N4,745,000,000.00, stolen from the treasury of the Federal Government through the Office of the National Security Adviser, the applicant (Fayose) has also received gratification in form of kickbacks from various contractors with the Ekiti State Government such as Samchese Nigeria Ltd., Tender Branch Concept Nig. Ltd., Hoff Concept Ltd. and Calibre Consulting Limited.